(Nanowerk News) A new method for building "drawbridges" between metal nanoparticles may allow electronics makers to build full-color displays using light-scattering nanoparticles that are similar to the gold materials that medieval artisans used to create red stained-glass. "Wouldn't it be interesting if we could create stained-glass windows that changed colors at the flip of a switch?" 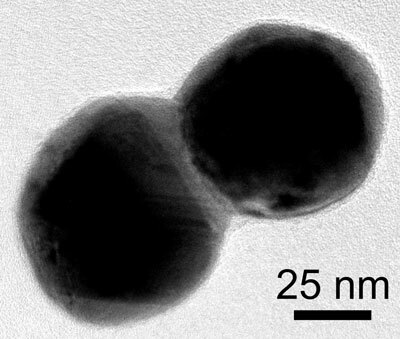 said Christy Landes, associate professor of chemistry at Rice and the lead researcher on a new study about the drawbridge method that appears this week in the open-access journal Science Advances ("From tunable core-shell nanoparticles to plasmonic drawbridges: Active control of nanoparticle optical properties").